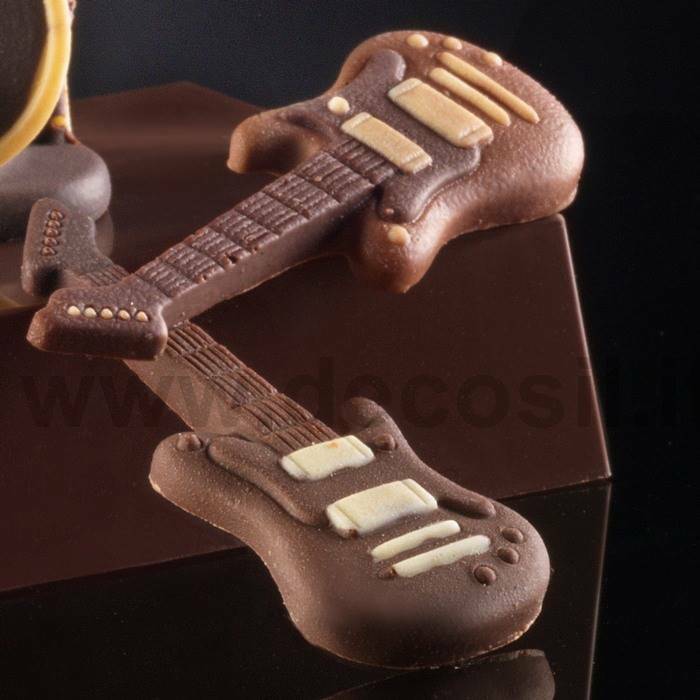 Electric guitar chocolate mould, electric guitar silicone fondant moulds. Electric Guitar mould Electric guitar chocolate mould, electric guitar silicone fondant moulds. Mould weight: approximately 0,038 kg. Chocolate subject weight: approximately 10 g.